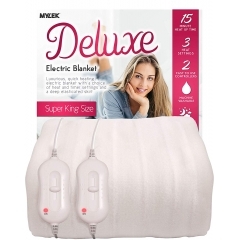 Electric blankets with dual controls offer you the most comfortable and convenient way to keep warm in your super king size bed. 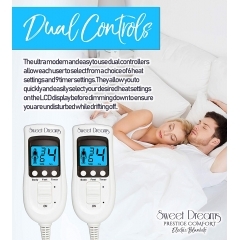 If you can’t agree with your partner about how warm your bed should be, an electric blanket with dual controls is just what you need. 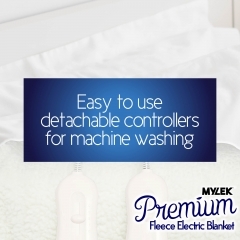 This means you can each control one side of the bed independently so that you can both get your electric blanket just as warm as you like it. If you like it hotter than your partner, use your control to heat up your side of the bed without affecting your partner’s side at all so you can both sink into the blissful sleep that you deserve. 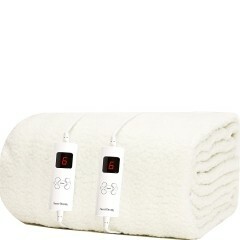 Why Choose HSD for Your Super King Size Electric Blankets with Dual Controls? 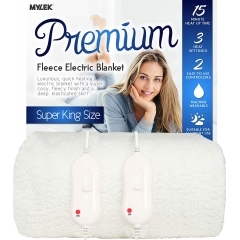 We understand that your bed is a haven where you go to feel comforted and to relax after a rough day at work, so we only stock the highest quality electric blankets that you can always rely on. 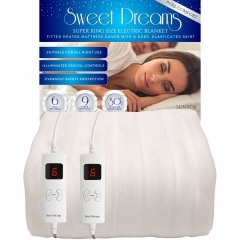 With only the country’s most comfortable electric blanket brands on offer, such as Homefront, Sweet Dreams, and Dreamland, you can buy with complete confidence. 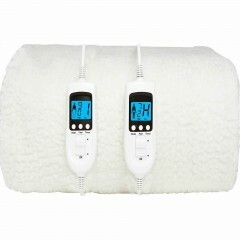 Every heated blanket we stock is tested to ensure it meets the highest safety and quality standards. 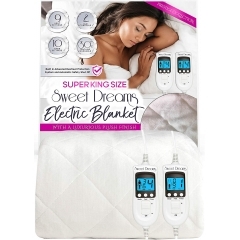 That means every stitch of every super king size electric blanket has to be supremely comfortable, with an effective heating element that quickly responds to inputs from the dual controls and evenly heats your bed. We’re proud to offer the most comfortable blankets and, thanks to our friendly customer service experts, offer the most comfortable online shopping experience, too. Why not get in touch and see for yourself? Give us a call on 0800 091 3171 or use the live chat function at the bottom of your screen and we’ll be happy to help.